Loss is hard—really hard. This you already know. I’ve recently discovered that loss while you’re leading in ministry can be even harder. To lead out of brokenness and grief is one of the most vulnerable places to be. That’s where I found myself earlier this year. My husband and I have been married almost five years and have been praying for children. By the grace and power of God, He allowed us to conceive. I worshipped God for our gift… a prayer answered! I sit here typing almost eight months later with a belly that never grew and a heart that broke into a thousand pieces. We miscarried. You see, this really hit home for me because part of my role in ministry is not just “Pastor’s Wife". It's also “Worship Leader”. Oh, I worshipped whole-heartedly when that little blue line appeared on the test. I fell to my knees in tears of joy, praising God, for He had given. I cannot say the same thing happened the moment that sonogram revealed our reality. I’m still on the journey to find the full answer to that question. I am still leading out of my brokenness. I love what Shannon shared with us in her post two weeks ago: “What ministry requires, none of us have the capacity to give. We have to limp every morning to His waiting arms.” This seems especially true in grief. 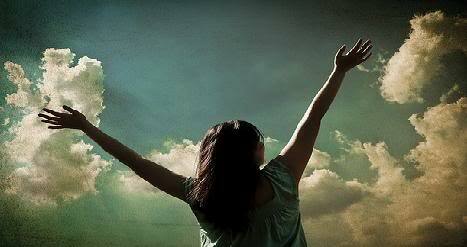 True freedom in worship will come from an un-offended heart towards God. Although anger tends to be a taboo topic in the church, it is one of the universal stages of grief. And although God does not do any wrong, it's possible for us to charge Him with wrong doing in our suffering. After speaking with many Christian women who have experienced miscarriage, I learned that carrying an offense towards God after loss is almost as common as crying. Sweet sister, if you have experienced any type of loss that has resulted in an offense [whether it be loss of a loved one, miscarriage, any type of trauma, an unanswered prayer, or even moving away from family, friends & comfort to answer the call of ministry], I pray that you will release that unto our Lord. It’s in the moments of releasing an offense that we can see clearly how God is sovereign and righteous in every way. He truly is the Father of compassion and the God of all comfort, near to the broken hearted, and Savior to the crushed in spirit. May we always see Him as the Perfect One He is—Healer in loss and in grief—worthy of praise at all times. Monique is a Northern California Pastor's wife. When she isn't glueing her fingers together in a D.I.Y. project, you can find her worshiping God through music and everyday life. Above all, she desires to be an arrow, pointing others to Jesus. 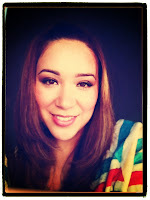 To learn more about Monique, you can visit her family ministry blog at www.TheZackerys.blogspot.com. Thank you for reading. It's a blessing to have you here. Monique, your words are like a healing balm. I too have suffered from an "offended heart" towards God. I pray that my heart would grow to worship through my losses in life as yours has. I love you, Sister. Oh Carla, God has used you tremendously to bless my heart during this time of loss. I am praying for you as you mourn the life of your precious aunt. We're all on a journey. So glad we have each other to be encouraged along the way. Love you too! Wow, how your words spoke to my heart. Praying for you as you continue to heal. Thank you so much for your prayers, Shannon. They are much appreciated. Very timely, this was what I needed to hear as I am experiencing the loss of some dear members of our church who are walking out or leaving in a time that we are excited about new vision and our re-launch! I love people so deeply and this has been the most gut-wrenching part of ministry for me-- loving people and then they leave. It seems to never let up or stop (the leaving) nor does the pain every time it happens. Once I build up my courage and strength someone else leaves. I must admit, I am still a little angry at God as I deal with the grief b/c I feel I need some relief but I am gingerly asking God to heal me and take away the contempt because I know it's not His fault but I sometimes wish He would wave His Divine hand and stop the madness! Okay, I needed to vent. Let's pray for each other. Just to encourage you after my vent, I too had a miscarriage and God healed the pain and blessed me with two wonderful boys years later. I held onto His promise. Ironically, I had no anger then, my faith was stronger and it allowed me to hold onto my belief for children and trust Him! Be blessed and you are worshipping now for those blessings to come :>)! Sweet sister, I'm so sorry to hear about your loss of church members. I understand that type of hurt as well, especially when you love deeply. And yes, I can DEFINITELY relate to the desire to have God "wave His Divine hand to stop the madness". I have prayed for you today, my friend. Thank you also for your encouragement. Praise God for your boys! I have found so much hope in seeing couples WITH babies, after facing the same loss we have faced. I am holding on to hope. I know God is able to expand our family. If you need to vent, by all means, hit me up! I won't judge you for what you say. Sometimes it's easier for us to vent to someone "faceless"... if you know what I mean. I've been right where you are 2 years ago. You are handling it a lot healthier than I did. I tried running to the Lord, but I still blamed myself. I was very bitter. Please, if you need a person to vent to, don't hesitate to "hit me up". I blogged about it in my blog, but I don't want to pour salt in a wound, so I'll just leave it at this - I've been there. Keep running to God even when you are drowning in your own tears. Crawl into his arms. Thank you so much for opening that door. You are so sweet. I am sorry to hear that you had to walk this road as well. It's not an easy one. I thank God for the hope of eternity. Our babies will meet us there and we will be able to embrace them one day. :) I pray that God has comforted you with truth and released you from the thoughts of guilt surrounding your loss. I will check out your blog in the future. At this time, reading a lot about miscarriage sends me down a spiral of emotions. So I'm laying off the writings on that topic for now. I know you understand. :) Thank you so much for the prayers! Thanks so much to both of you!! Writing is also my way of getting it out. Thanks for the forum but if I need to, I know where to turn! :>) Blessings to you both for your prayers!! !